Gardaí have launched a criminal investigation into online threats made against a Garda member working in Dublin. It follows reports that one of the officers who policed a housing protest in Dublin last week was threatened after he was named and pictured online. Gardaí came in for criticism after members of the Public Order Unit wore face masks during a protest against the eviction of housing activists from a building on North Frederick Street. In a statement this morning, Garda Commissioner Drew Harris said he had opened up an investigation into online threats made against one of his officers. He said Garda management had put “appropriate supports” in place to protect the welfare and safety of the officer. 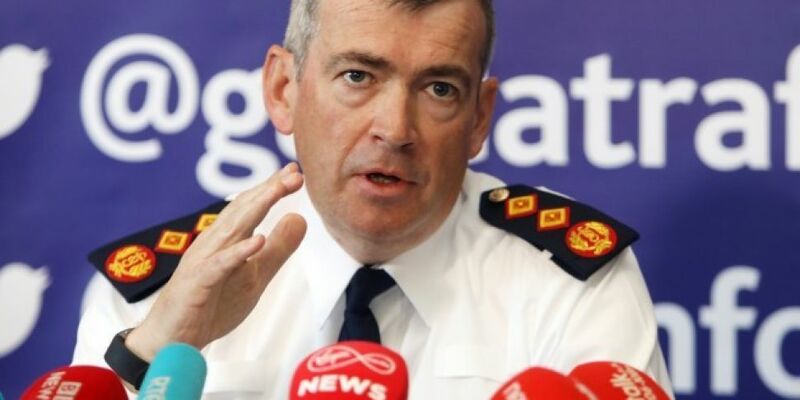 "Threats and intimidation against Garda members, who are only doing their job to keep people safe and uphold lawful order, are completely unacceptable,” he said. Images shared on social media during the eviction showed a number of men dressed all in black and wearing balaclavas entering the building to remove protesters who had been occupying the vacant property. Masked gardaí from the Public Order Unit gathered in front of the property while the eviction was being carried out. He defended the behaviour of the gardaí on the ground, saying: "Members of An Garda Síochána showed restraint in the face of physical and verbal abuse from a very small minority."